The Indonesian Clean Energy Development (ICED) aims to support the Government of Indonesia's goal to expand the domestic energy supply and meet its commitments to reduce global greenhouse gas emissions. In addition to technical assistance and advisory services, ICED facilitates access to clean energy-related funds which can be leveraged by the private sector for clean energy development. The Indonesian Clean Energy Development (ICED) is a four-year (2011-2015) technical assistance program funded by the United States Agency for International Development (USAID). The ICED program aims to increase access to energy services to stimulate economic growth and reducing the growth of greenhouse gas emissions from the energy sector by improving clean energy development. ICED supports a wide variety to stakeholders in the commercial development of renewable energy and energy efficiency projects. ICED provides energy planning and policy reform support to selected national and local government intended to overcome barriers to increased contribution of clean energy. ICED advises project developers (for renewable energy) and hosts (for energy efficiency) in assessing the feasibility of clean energy technology applications. ICED offers local banks and financial institutions evaluate project financing proposals. ICED supports PLN, the national electric utility, improve the framework for electricity generated from renewable energy. Through the ICED program, Tetra Tech is helping USAID to: improve energy sector policy and coordination; increase the development of clean energy projects, including energy efficiency and on- and off-grid renewable energy pilot projects, many of which are implemented under grants to private entities and NGOs; increase institutional capacity and public outreach; and administer grants and provide financial advisory services to encourage the implementation of renewable energy projects and support climate change mitigation activities. Star Energy Group, an energy company, engages in acquiring, producing, and exploring petroleum oil and natural gas. It also engages in the generation of geothermal electricity, as well as owns a gas pipeline. 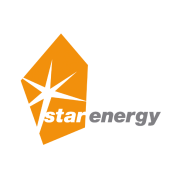 Star Energy Group was founded in 2003 and is based in Jakarta, Indonesia. The company has operations in Singapore, Singapore; and Hamilton, Bermuda. Star Energy takes social responsibilities and obligations very seriously. Star Energy works pro-actively with all of the communities where Star Energy is involved in. Star Energy conducts extensive programs aimed at both Community Relations and Community Development. The aim is to improve capacity of local communities, governments, neighbors and other interested parties by assisting them in building infrastructure for education, religious facilities, health and sanitation, and small business development. On all of the sites, Star Energy emphasises the importance of extensive consultation with the local authorities and communities before launching any initiative, to ensure that it will reflect local needs including the sustainability aspect so it can be well accepted. Tetra Tech is a leading provider of consulting, engineering, and technical services worldwide. The reputation rests on the technical expertise and dedication of the employees—16,000 people working together across disciplines and time zones to provide smart, sustainable solutions for challenging projects. Tetra Tech is proud to be home to leading technical experts in water, environment, infrastructure, resource management, energy, and international development. Tetra Tech combines the resources of a global, multibillion dollar company with local, client-focused delivery in 400 locations around the world. Tetra Tech offers competitive compensation and benefits and are searching for innovative people to join the teams. Tetra Tech is an equal opportunity employer: EOE AA/M/F/Vets/Disability.